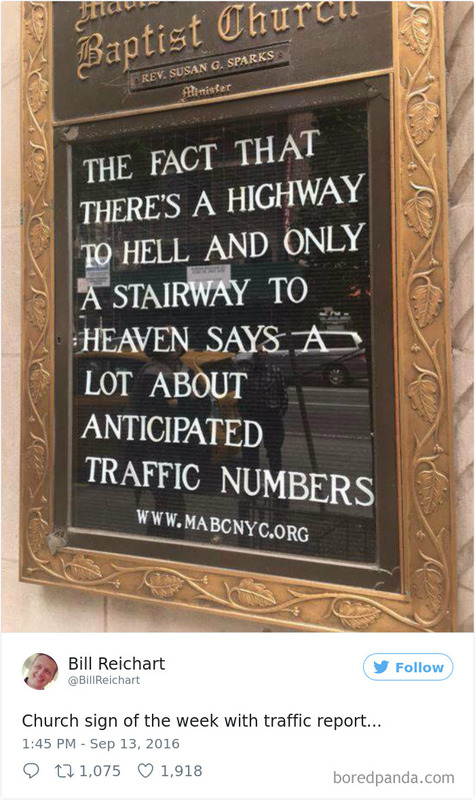 While walking down the road, you see a hilarious signage that cracks you up to the the bones— did that happen to you before? 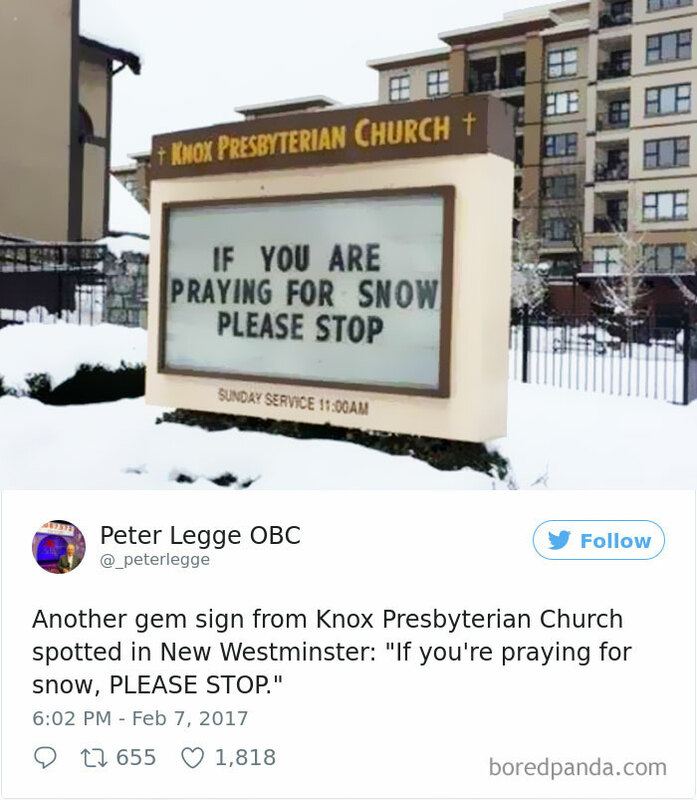 I am pretty sure we have had that moments and it is just amazing how people can make hilarious signages, unintentionally. 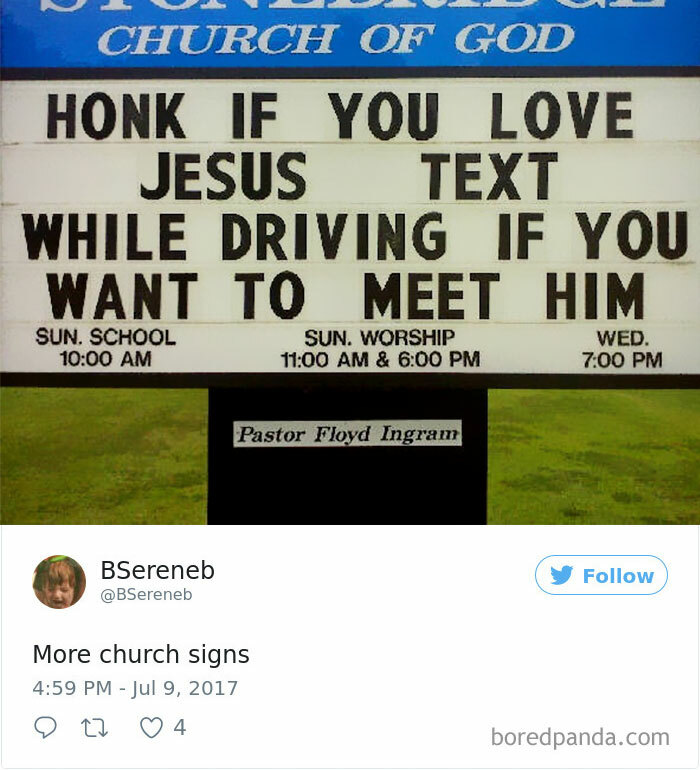 I mean, those signages or most of them are surely sarcastic but it still amazes me how creative people can get when making one of those. 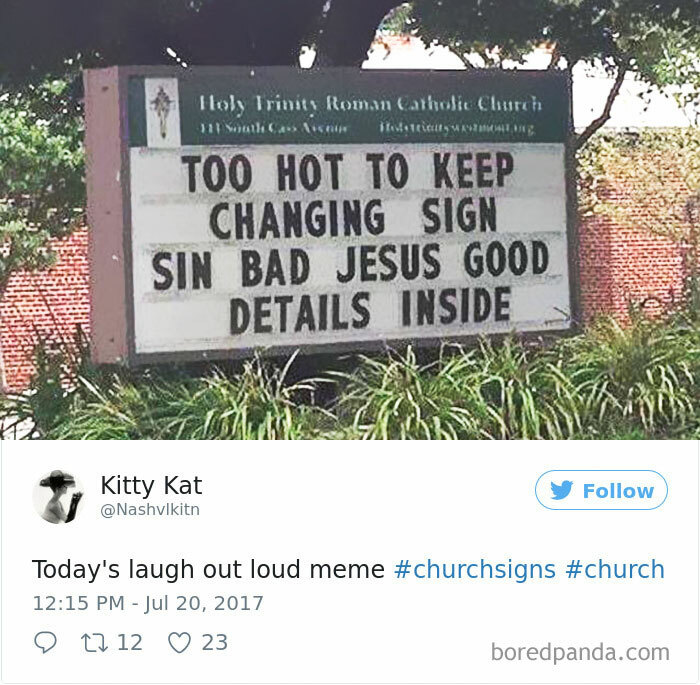 Some of the most hilarious signages that I have seen so far are from churches. 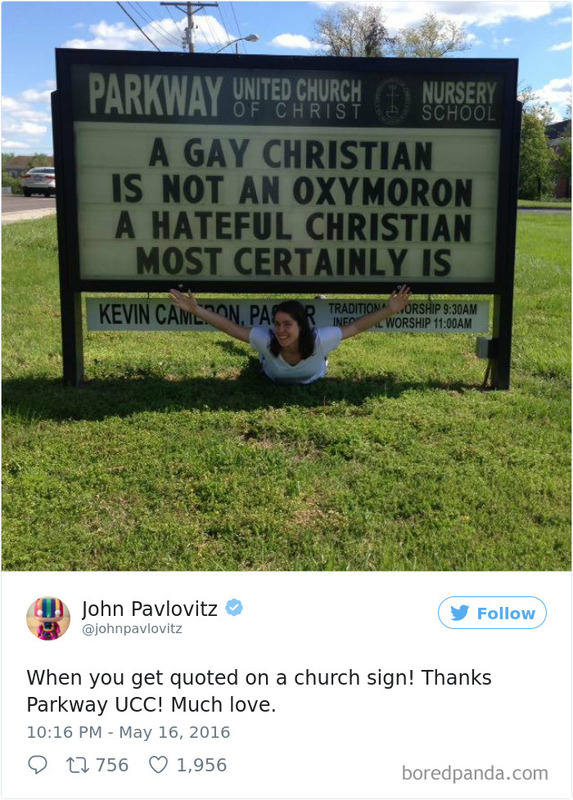 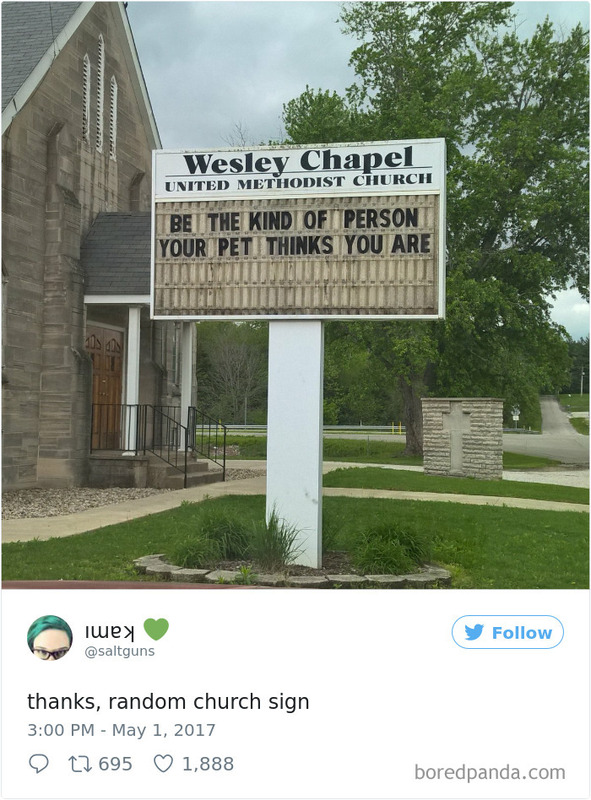 Yes, churches! 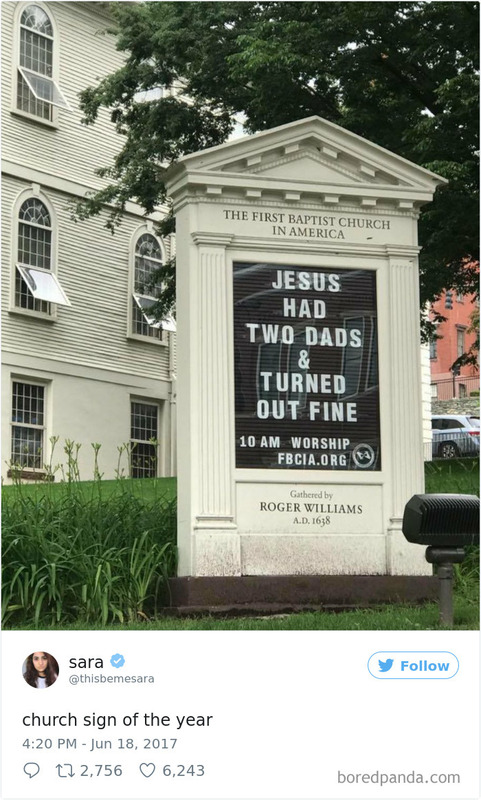 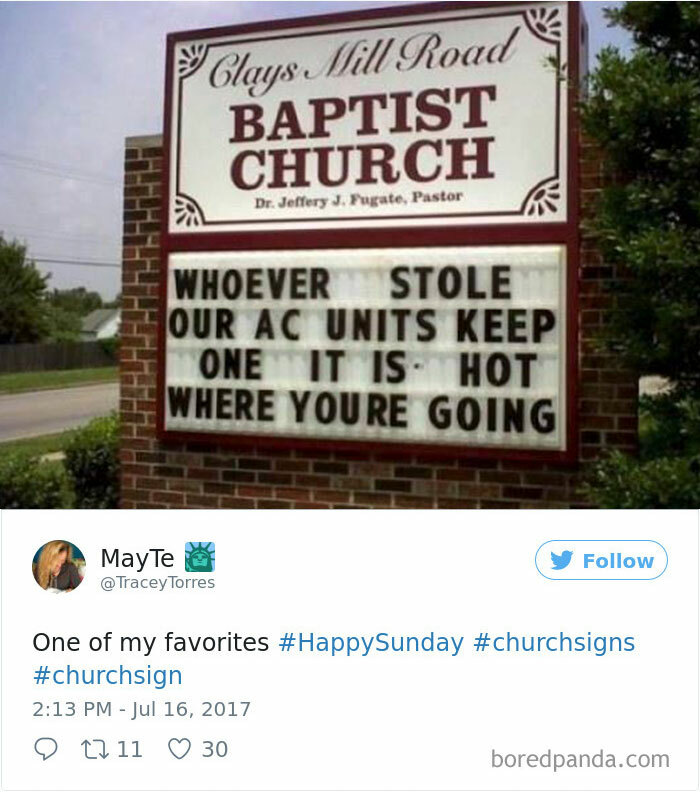 While churches in Europe may be world-famous for their historical value and architecture, churches in America are known for their notoriously funny and clever front lawn signs. 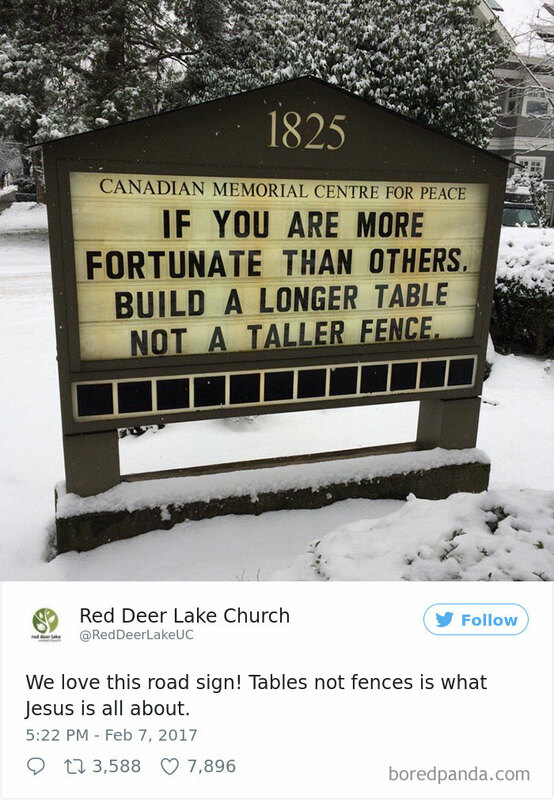 Much like a store might write up a cheeky message on their sidewalk A-frame to entice people walking by to come inside, churches use humorous marquees to try and draw potential faithfuls in to fill their pews – or, now and then, just to put a smile on someone’s face who might need it. 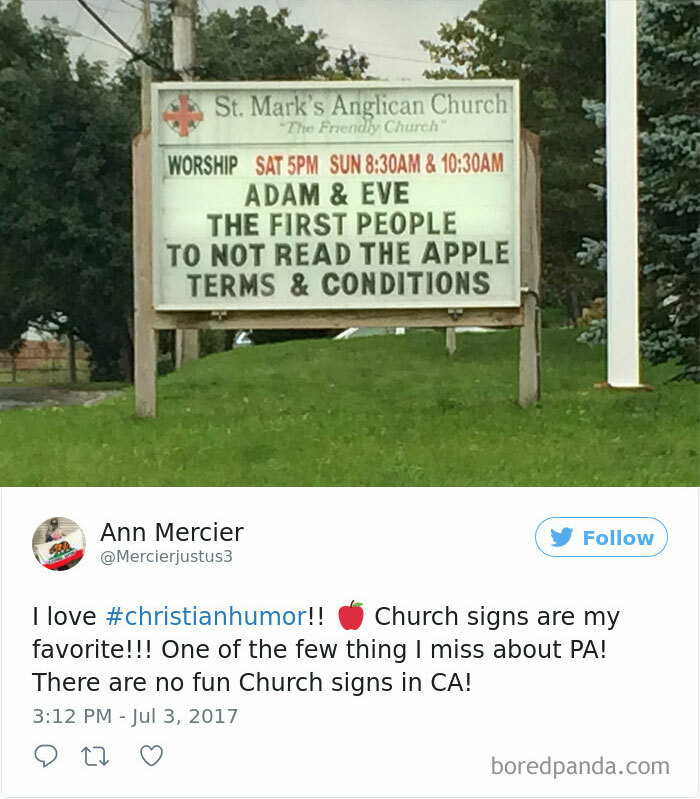 The trendier the joke, the more likely they are to appeal to young audiences.